Note: Nadeem Shafiq Malik, The All India Muslim League and Allama Iqbal’s Allahabad Address 1930: Archives of Freedom Movement Volumes No.153 & 154 (Lahore: Iqbal Academy Pakistan, 2013), p. 464. Bibliography: Malik, Nadeem Shafiq. 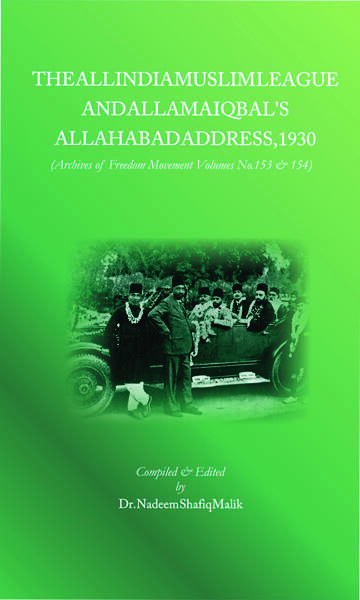 The All India Muslim League and Allama Iqbal’s Allahabad Address 1930: Archives of Freedom Movement Volumes No.153 & 154. Lahore: Iqbal Academy Pakistan, 2013.